As TV5 restrategizes and plots its future in the ever-competitive television industry, changes are continued to be made. 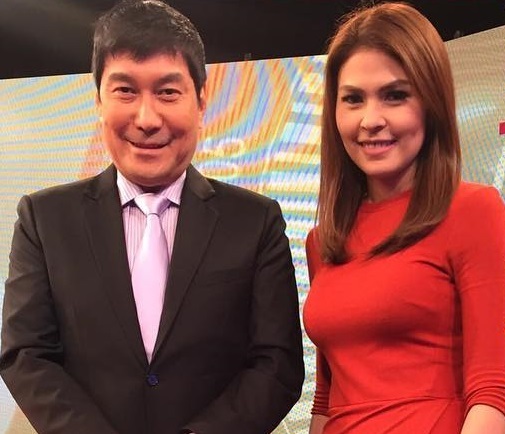 On Monday (November 13), Raffy Tulfo welcomed now-former Aksyon Tonite anchor Marga Vargas, or Tiyang Marga as she's being called now, as Aksyon sa Tanghali's newsreader. In her (not so) new role, Vargas is tasked to round up the day's news with her own news segment — complementing the program's new public service format. As what viewers have seen in recent weeks, Tanghali has gone all-in on its public service component, Itimbre Mo Kay Tulfo, devoting more airtime on hearing complaints from ordinary citizens than coverage of national news. "Mga Kapatid back to Aksyon sa Tanghali na po ako ulit kasama si Idol Raffy Tulfo mula Lunes hanggang Biyernes!😊😊😊 Hayaan nyo po kaming saluhan ang inyong tanghalian ng maaksyong balitaan!😊" Vargas posted on her Instagram account, along with a collage of photos taken during her first day. Media Newser Philippines earlier reported that Vargas was expected to return to her old anchoring gig at Tonite. No official word yet from the Kapatid Network as to why that plan was scrapped, but it is likely due to the recent changes at the TV5 late-night newscast. As we noted last week, Tonite has been shortened to 15 minutes.